Plans are being drawn up to build a £3.3m working replica of the boat that took Charles Darwin around the world at Milford Haven in Pembrokeshire. Fundraising for the project, which would mark the 200th anniversary of Darwin's birth in 2009, is under way. 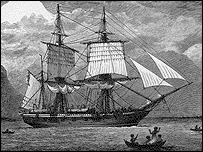 The aim is to built a seaworthy vessel identical to the HMS Beagle on the outside, but with a modern interior. Darwin, who showed how natural selection could explain evolution, sailed on the Beagle between 1831-36. Sitting opposite him on the expedition was mate and surveyor John Lort Stokes. One of Stokes' descendents, Pembrokeshire farmer David Lort Philips, together with commercial yacht master Peter McGrath, have founded the Beagle Project Pembrokeshire. Mr McGrath said the ship would look identical to the original Beagle on the outside but would have a 21st century interior with diesel auxiliary engines and generators. He said he hoped the vessel would inspire the scientists of the future and be used by researchers and scientists from across the world. "Externally it will be exactly the same but we want it to do some serious scientific work and you would not want the crew living like they did in the 18th Century," he said. The pair have spent three years putting their plans together and aim to raise the money through private and institutional investors along with public subscription. "With all the Darwin 200 celebrations there is not one big project to focus the attention on," added Mr McGrath. "I know the effect a square rigger has on young people - it's a jaw dropping sight. "But we do not want this just to be a replica - we want it to have genuine scientific benefits. "We have started the fundraising. Construction will take 14 months and it has to be finished by early 2009. "She will be built in Milford Haven and it will be her home. But what we want to do when she is built is visit the significant sights in Darwin's and the Beagle's life." Researchers believe the original remains of the 27m-long Navy brig, that was sold for scrap in 1870, are embedded in a marsh near Potton Island in Essex. 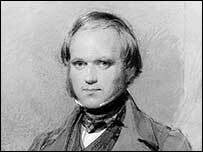 Darwin, who published On the Origin of Species by Means of Natural Selection in 1859, came fourth in a poll run by the BBC in 2002 to find the public's greatest Briton of all time. His voyage on the Beagle allowed him to form the basis for much of his later work.